Preventative glaucoma research gives me great hope that the sight in my right eye might be saved. My name is Phoebe Young and I am a QEI Foundation Ambassador. At the age of 18 I suffered an allergic reaction called Stevens-Johnson Syndrome which caused my eyes to burn and blister leaving them scarred and with poor vision. In 2001 while studying my first year of university, I was hospitalised with a severe allergic reaction which caused my eyes, skin and lungs to blister and burn, and my extremities to perish. After five weeks in intensive care, it seemed the only way to save my life was to remove my toxic limbs. A team of skilled surgeons amputated both my legs below the knee, my left hand at the wrist and the fingertips of my right hand. It was a devastating loss to endure. Today, 17 years on, I feel immense gratitude to have survived despite my ongoing disabilities. It will not surprise anyone who has been touched by poor vision, that of all my disabilities, it is the loss of my sight that has proved the most difficult and burdensome. My eyes’ stem cells (which repair and regenerate the surface of the cornea) have been destroyed, leaving the corneas I see through opaque, dry, painful and highly prone to infections. Fortunately, after leaving hospital, learning to walk on prosthetic legs and with the help of visual aids and magnifiers, I was able to return to university, graduating from Arts and then Law before practising as a solicitor. I later married my lovely husband Ben and we have two beautiful boys, Rufus now aged five and Toby aged three. Currently, the eyesight in my right eye fluctuates but on a good day I can see around five per cent of what a fully sighted person can see. The small vision I do have enables me to navigate my surrounds, to pack my sons’ lunch boxes and cook their dinner. Unfortunately, this year my left eye has become completely blind from glaucoma. The glaucoma is most likely due to the scarring of my cornea and there is a real risk my right eye will suffer the same fate. I have the pressure checked in my seeing eye often and think a lot about what would happen if the pressure became unmanageable and the sight I have was lost forever. It would be easy to live in fear about the future of my eyesight and the real risks that I may become completely blind one day but that approach is not productive. Instead, I share my story and I ask for your generous support with hope and optimism that one day researchers will be able to prevent vision loss from glaucoma, and I along with those affected by it will continue to live full and meaningful lives. 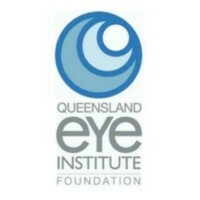 Please donate to the QEI Foundation and give the gift of sight. The donation you make today can one day save or restore the sight of someone you love.